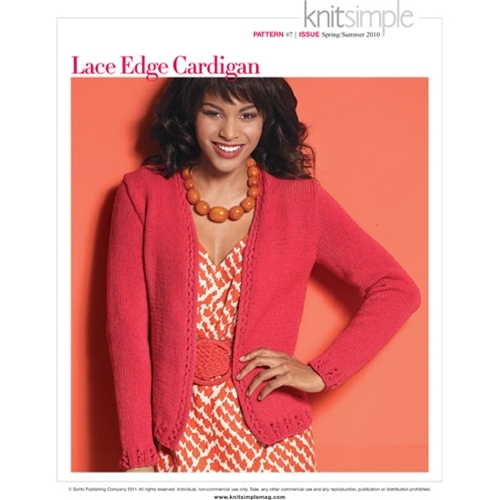 This classic buttonless summer cardigan has lace ribbing at the cuffs, hemline, and front edges, which are worked along with the front pieces and joined at the back neck in finishing. • Sized for X-Small, Small, Medium, Large, 1X, 2X, 3X. Shown in size Small. • 17 sts and 24 rows to 4"/10cm over St st using size 10½ (6.5mm) needles.